Europe face the same challenges US shale gas exploitation efforts faced when it started up. As there are similarities, there are also many differences, which makes the hunt for Shale Gas in Europe a different challenge than was and still is in the US. These challenges European government(s) and oil and gas industry faces have to be adressed and a focus has to be made on these at this stage. A successful exploration and production of any potential within the Shale Gas plays that could be present depends on solving these challenges. There are several challenges – and all are connected to the learning curve of Shale Gas potential in especially North America (US and Canada), however not liimited to this continent as f.inst China has begun to ramp up their efforts to exploits Shale Gas potential within their country. It is however important to state – European Shale Gas potential and its exploitation strategy can not follow a blue print of what is done or being done at the present in the US or Canada. Shale Gas or should I state in general unconventional resources– do not behave that uniformly – and the only certainty we have – its going to be different from the US and Canada, or for that sake rest of the world, as it is with conventional resources and how we exploit them. I will address these key issues and what i think Europe should focus on at this moment. European Union as the policy maker versus Europe consisting of 27 countries and Europe consist of 45 countries including those shared with the Asian continent. EU was founded in 1993, and therefore a young union, compared to the US f.inst. There are spoken several different languages within the EU, some have kingdoms (9 of them) and others have republics. It is challenging for EU to have one common energy policy which is uniformly followed all over Europe. o Environmental regulations and laws and how they interact with other legislator bodies in a country – are there clearly defined in legislation what role and responsibility environmental unit in a country has and how industry should work with them to ensure development of unconventional plays? o Legislative design, the previous step was a sub-topic of this overall topic – as environmental, fiscal, industrial energy laws and f.inst land laws interact, and clear guidelines have to be developed in order for a player to minimize its risk in a unconventional project. "[...] high oil prices and the security premium to be placed on indigenous resources increase the interest of extracting indigenous oil and gas reserves, including unconventional reserves, insofar as this can be achieved in a sustainable manner." US and Canada are the market leaders when it comes to both exploration and exploitation of these resources. There have been made several attempts to assess the volumetric potential for Global Shale Gas on the various continents. Common for these are that there will be some few regions which will dominate the Shale Gas exploitation in the years to come, hence also direct the focus of technology, service providers and operators of course. Below is ConocoPhillps view and estimate of the global resource estimate of unconventional resources. It can be seen that Europe is not seen to rank amongst the top 6 continents. "To facilitate the factual and collaborative exchange of unconventional gas knowledge and challenges among government, regulators, industry and public stakeholders for the exploration and production of the resource in an environmentally sensitive and economical manner." Big difference between f.inst Austria's very strict regulations and France need to think nature preservation of vital tourist interest areas, and Poland's more relaxed attitude towards these issues. The shale gas drilling process requires up to 2.3 million litres of water, plus hydraulic fracturing–or "fracking" –which takes another 17 million litres per well. Up to 1% of these fluids are chemical to stimulate drilling process or to perform frac in the potential producing units. That means that 170.000 litres of chemical are used in the frac process and 23.000 litres of chemicals in the drilling process. So around 200.000 litres of chemicals are used pr well if its going to production. How these chemicals are acting together with the sub-surface and potential leak into ground water, is still not 100% understood, as our experience is fairly limited and monitoring of these chemical have not been done in real cases yet. Tracers applied to these chemicals would be one way to go, and to drill monitoring wells around a Shale Gas field to see if migration of these chemicals constitutes any environmental danger. Also there will be a need to have proper water/waste water management of used drilling/frac water coming back to the surface. It requires on-site management, but also post-drill management and waste procedures/treatment of this water. Water is fairly readily available in the U.S, European countries will face bigger difficulties transporting large volumes and sticking with environmental guidelines on disposal. Therefore there is a need for transparency and trustworthy information to the public is one of the key issues here, and these challenges have to be addressed out in the public so the European public gets to understand what the environmental impact is from these activities and what is done to ensure the public that there is no imminent danger from these activities. The industry has to explain and calm the public by telling and stating how much effort it will put into the society to ensure that the environmental concern is no issue. It is not enough just to state there is no concern – it has to prove this by showing the public what is done and what will be done to ensure environment will not be hampered by its activity. The industry together with the government will have to lay out the various programs it initiates, its reconstruction programs, how it manage its water during exploration and production. Here I will go straight to the point – the bottleneck in Europe at the moment is Research and Development within the area of unconventional resource exploitation. It is essentially non-existent at the moment, as majority of research is based on other continents when it comes to unconventional resource exploration and exploitation. Yes, we have European companies involved in Shale Gas potential in other continents and we can leverage on their experience, however, little or nothing is done on European cases – as they are barely existent at the moment – hence we do not have any experience on how to do this in Europe given our constraints and opportunities. This is already seen a need to focus more on this in North American exploration an exploitation of unconventional resources – in order to pull some leverage on a collective effort to enhance the recovery factor of these rervoirs – which at the moment is very low. At the moment is more like empirical science applied in North America, and as we learn we apply – trial and error. Some places this works very well, others it don't. Producers in the Marcellus shale in the US may be forced to curtail natural gas production unless they can come up with a viable way to dispose of ethane, an associated gas. There is a need to propose a framework for assessing the viability of options on how to handle this issue. This could be a concern in Europe as well, and technological research should be promoted in this area. In most natural gas producing regions, ethane is a highly valued byproduct of natural gas production, sold as an important feedstock for the petrochemical industry. But in the rapidly growing Marcellus producing region of the Appalachian basin, some natural gas producers view ethane as a contaminant that could threaten development plans in the area. There is therefore a need for a Collaborative effort of exchange of knowledge from existing exploration and production at other continents has to be stronger and established in Europe. Government level collaboration has to be established to facilitate the dialogue on how to address energy supply, cost and demand issues, and together with the industry look at options in a transparent and regulated manner. Technology solutions will from experience come to a high degree from smaller start-up companies with background from academic institutions. EU needs to look into options on how to stimulate technologists to bring ideas from the academic world into the commercial world as fast as possible and as effective as possible. As the North American Shale Gas potential has been revealed and being exploited as we speak, and done so for a decade or so now, it still remains to understand vital factors from a geological standpoint of view. This based on the fact that we have understood that Shale Gas in not just Shale Gas – there is nothing such as a uniform Shale property, which we can extrapolate to any projects around the world. 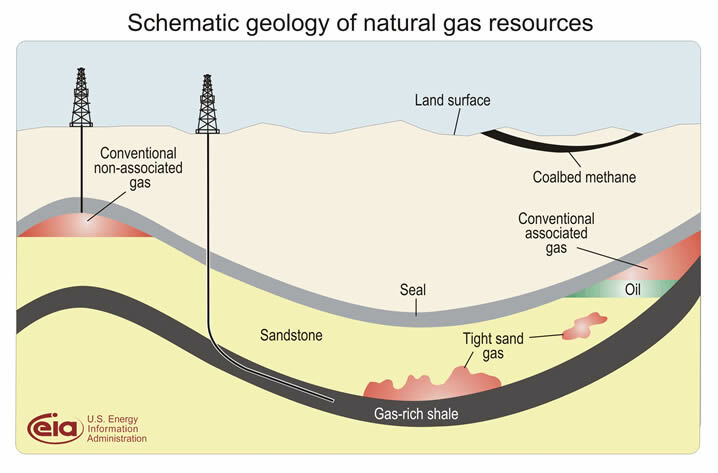 Geological properties of these shale combined with various geological settings and development histories, makes Shale Gas exploration and Production a highly complicated matter. To understand these Shales – there is a need for a large amount of raw data for the geoscientists and physicists to evaluate in order to be able to predict and elude the better production areas from the worse ones. Data such as seismic data, well data are vital, and its important to collect the most optimal and mostly the highest end technology has to be applied when collecting the data, but not only that – when analyzing the data in order to be able to give the best advises to how to exploit these unconventional resources. Linked to this, there will have to be put a larger efforts into mapping out ground water resources, and not limited to the traditional levels we have exploited so far, but to actually do a proper water exploration at the same efforts as we do the unconventional and conventional exploration. All this will put a stress on several other challenges, which I will come back to. A serious problem that can emerge for producers of high-BTU (British Thermal Unit), or "rich" gas in Europe is that before this gas can be delivered to pipelines for transportation to market, natural gas liquids (NGLs) must be extracted from the gas. Therefore the understanding of hydrocarbon constitution is of importance as some regions might have a large content of Ethane, and hence the need for extraction capacity at or near their production site. Therefore there will be a need to look at this geological driven aspect in an engineering and infrastructure perspective, as gas-processing infrastructure to extract all the NGLs from gas in the high-BTU gas regions has to be projected and assessed for. Feasibility studies have to be performed for this scenario, and see if Europe is ready for this type of infrastructure and industry development. Then – is there a market for Ethane in Europe – and in case it is – where is it – and does it coincide with where you will find it – or is there a need for further infrastructure to facilitate it (petrochemical industry)? Therefore European government and industry should focus on development of applied Science Unconventional Resource planning and production is needed within EU and rest of Europe. This has to be linked with a body or organization consisting of industry and government including education that will address the present and future need for workforce within this area. As we have seen in North America, we went from the traditional vertical wells with simple fracturing technology in its infancy of exploiting the unconventional potential. 1981 the 1st well was drilled on these resources in the Barnett Shale, and an average of 7 wells pr year was drilled up to 1992 when the 1st horizontal well was drilled on these resources. The average amount of wells now became around 40 pr year, as in 1997 the 1st slickwater frac procedure was used, and we jumped to an averge of 73 well pr year. The amount of vertical wells dropped on behalf of the horizontal ones, and in 2007 we had around 2500 wells drilled. Fayettville was developed much later and its first well was drilled in 2004 and its first horizontal well was drilled in 2005 and in the same year slickwater frac was used. The speed of implementing new technology is tremendously different, driven by experience from Barnett shale play. At the moment Fayetteville drills around 1000 wells. Now, experience tells us that the solution is not only to drill horizontal wells, but to limits its reach, and to perform multi-stage fracs on them. However, technology has to adapt to geological variation and to changes due to production performed on it. Decline rate on Shale Gas is a totally different chapter than seen in conventional resources, and how to cope with this together with how to prolong peak production and to create a higher production plateau is important engineering tasks ahead of us. Since European Union limits on imports on rigs and rig equipment, this issue will have to addressed locally, and ensure rig capacity and service capacity is built in Europe itself. How do we go about this issue, without creating a large overhead cost on the exploration and production companies? There is a need to facilitate rig construction factory units around Europe, combined with on the demand driven frac unit constructions combined with training of local experts to perform both tasks, drilling and frac'ing. This will drive down the prices and costs of these elements in the medium to long run, but has to be balanced with the need to create a healthy business model for those set up for these activities. 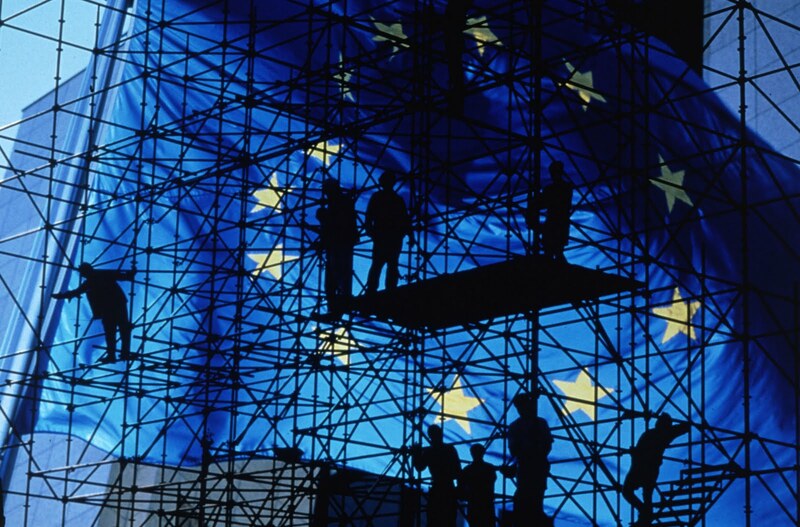 In the EU, there is a need for collaboration between service industry and government to ensure a framework that will work for both parties and serve the operators at an optimal level. In addition there is a need for the academic environment to build up applied science units to address Research and Development and to educate specialists within these areas. Rapid increase in the development costs for unconventional gas drilling is a major concern for the industry at the moment. Average costs for a typical well are between $7.5 million and $10 million, with additional operating costs of around $2.25 per thousand cubic feet of gas extracted, or mcf, this implies that for projects to remain profitable, gas prices would need to stay above $7.50 per mcf. At the moment the gas is trading around $4-5 per mcf. Another aspect of economy is how long time I takes to bring a project from idea to a commercial unit. Poland is still a mainly agricultural nation comprised of thousands of family smallholdings of an average 14 hectares. Planning a well head on land in Poland will require companies to negotiate with each family, which will inevitably delay processing. Time is money, and also it is difficulty to unitize a production unit, if many parties are involved in it, which complicate a project and puts an economic risk to it. There will be a European need for Gas at least as far as into 2050 as we can see it, and mostl likely beoynd this time as well. Prognosis states that Europe will have around 80% of its energy need covered by import if the existing energy provisions are kept. Will Shale Gas be able to make this dependency less, or is the potential too small, and the cost to get it - too high? The politicians together with the industry needs to put their heads together and make some connections between the vision and missions of the EU energy policy document and the efforts needed to achieve them. Stig-Arne Kristoffersen has a background as civil engineer and geoscientist. He has worked mainly within the oil and gas industry from the mid 1980s. He has written a few fictional novels as well as being the author of some professional litterature within oil and gas sector, he act as a writer to various web sites.